In 2017 there were 5,500-7,000 people estimated to be homeless in OKC, which does not count those who have found temporary living spaces, making that number is even higher. With this number being alarming, there are those on our campus who have found ways to do what they can to lend a hand. Alex Graham is a sophomore elementary education major from Richardson, Texas. She started her ministry recently called the Waste Less Love More Project. Graham saw waste in her place of work and started to do what needed to be done in order to use what was being wasted and to help those whom she had a passion for. There are prepackaged meals that are given out to children through Bethany First Church of the Nazarene’s After School Program, which Graham works at. The leftover food is thrown out on Fridays, and Graham, seeing the waste, decided to do something about it. On February 17th, Graham, with a team, went and handed out the leftover meals to some of the homeless in the OKC area. The team decided their focused area would be outside the Homeless Alliance’s Resource Center, where they were able to hand out 40 meals. When asked about the reason behind starting this ministry, Graham said, “Growing up, I wasn’t exposed to the homeless population, having grown up in the suburbs. 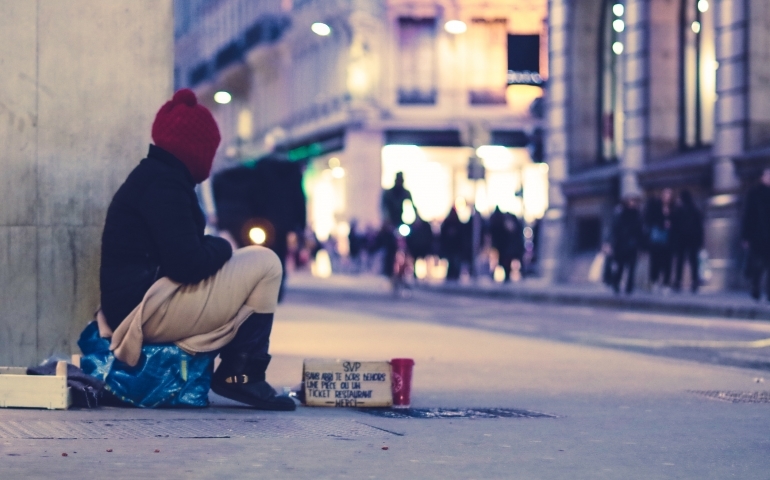 When I moved to OKC for SNU I started to encounter the homeless population more.” Through conversations, Graham’s desire to reduce the waste she saw and a compassion for those who may be down on their luck, this ministry was born. When asked what Graham would say to a student thinking about helping in this project, she said, “If you are thinking about helping or not, just go for it! You aren’t going to lose anything but maybe a couple hours on a Saturday.” The hours one may lose on those days are nothing compared to the love you will be able to share in this ministry.